It was not well received by Team Canada when it was learned the loathed Josef Kompalla was to be one of the officials for Game 8. In earlier games, Kompalla had been responsible for sending a steady stream of Team Canada players to the penalty box in. The script that had gone so horrible awry for Team Canada's hockey fans was about to have an ending that no script writer could have written, as it would have been deemed unbelievable. After being down 1-3-1 in the first five games of the Summit Series, Team Canada had faced the daunting and seemingly impossible task of needing to win three consecutive games on Soviet soil in order to win the Summit Series, a series that most Canadian fans had considered a sure thing when it was announced. A series that forever remained in doubt, and at times serious doubt, after that 7-3 drubbing in Game 1 in Montreal. Team Canada had eked out another hard fought one goal victory, 4-3, over the Soviet Union in Game 7. Paul Henderson scored the game winner in spectacular style with 2:06 left in the game. Henderson called it "one of the greatest moments of his life." Little did he know that it would pale by comparison for what was in store. Game 7 had introduced a new element of ugliness that had permeated the series. 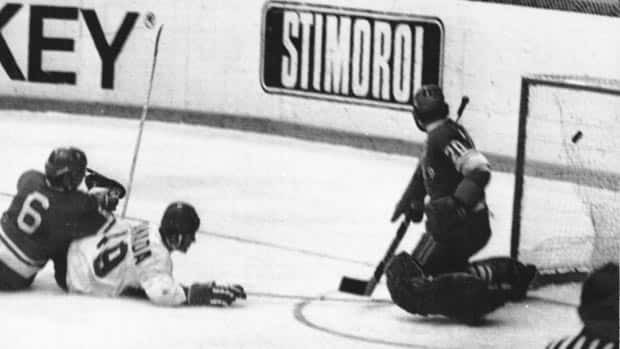 In the third period the TV cameras clearly caught Boris Mikhailov kick defensive standout Gary Bergman with his skate. Twice! Bergman's reaction to what he considered the unthinkable was priceless. He looked like a bull enduring the pain of being branded as he turned to scuffle with the Soviet player. While there was some talk of the Mikhailov kick, there was little or no talk of the Bobby Clarke slash that had ended the Summit Series for Soviet standout Valery Kharlamov. Since the rough play, physical play and dirty play had been a staple of this series, Team Canada was initially pleased with the officiating assignment for Game 8. After Game 6, it was announced that the two German officials that Team Canada despised, Franz Baader and Josef Kompalla (nicknamed Baader and Worse by Team Canada players and officials) had been "sent home." Czech referee Rudy Bata and Swedish referee Ove Dahlberg had officiated Game 7, and were set for Game 8. So it was not well received by the Canadians when they learned there was to be a last minute change with the officiating. Bata was to be paired with the loathed Kompalla, who had been sending a steady stream of Team Canada players to the penalty box in earlier games. I can remember Foster Hewitt's opening to the game: "I wouldn't miss this game for all the tea in China." Might have been the first and last time I heard that phrase on a sports broadcast. A few hours later, when Paul Henderson's life would change for ever, Foster Hewitt would broadcast arguably his "greatest" call in his distinguished Hall of Fame career. September 28th, 1972. All of Canada came to a standstill. All were glued to their television sets in a manner never truly replicated. The unbelievable script would play out for an unbelievable ending!